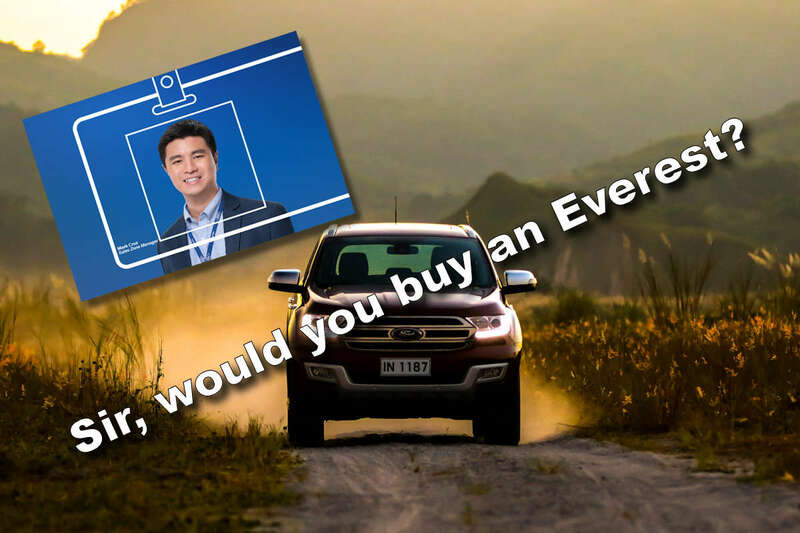 Unless you’ve been hiding under a rock this past few months, you may have noticed that Ford employees have started to grace billboards and web ads. Now, we can chuck it to them wanting their 15 minutes of fame, but there’s a bigger reason than that: employee pricing. Get the same smile as Ford’s Sales Zone Manager, Mr. Mark Cruz because if you act now, you can save up to P 153,000 when you purchase a brand-new Everest. With the employee pricing offer, the Everest 3.2L Titanium 4x4 AT with Premium Package is now available at P 2,134,704; the Everest 2.2L Titanium 4x2 AT with Premium Package at P 1,920,114; the Everest 2.2L Titanium 4x2 AT at P 1,789,494; the Everest 2.2L Trend 4x2 AT at P 1,602,894; the Everest 2.2L Ambiente 4x2 AT at P 1,472,274; and the Everest 2.2L Ambiente 4x2 MT at P1,416,294. Yes, Mr. Cruz here is practically begging you to buy an Everest. Now, Ford Philippines says this campaign has been successful for them and that it’s driven traffic to their showrooms and brand activations. It’s for this reason that they have extend this promo for a second time, this time ending when Ford employees typically go on a long holiday: December 31, 2018. No matter. Head over to your nearest Ford dealer today and find out what it means to get the perks of a Ford employee without having to work for them. Buyers dont want the old Everest. Bring in the new Everest! Yup the current Everest overall look became old quite fast. The previous model aged better. Bring in the new Everest with Raptor looks, engine, transmission and suspension lol.